How to calculate selling price of a product? When a retailer run a business it is an important factor to set the right price for goods and services. The selling price has a significant impact on the business profits. It also shows the worth of the business. Selection of suitable price for the business is declared the business survival in the market competition. Now the question is how to calculate the selling price of a product. 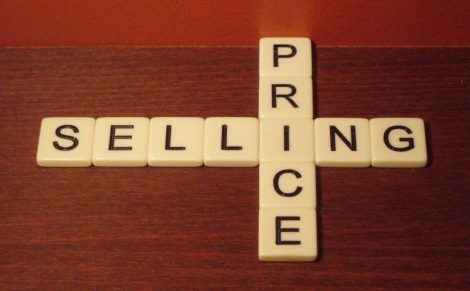 Selling price is define as the price on which a seller is willing to sell the product and buyer is ready to pay for it. So it is a complex process to select a suitable pricing technique. Different types of pricing policies and price comparison methods are available. Pricing your product accurately can enhance the business success and create strong foundation in market. If you opt the wrong strategy it may negatively affected your business. At this point a retailer has to decide that what approach is beneficial for the business. Higher price or lower sale of goods or lower price and higher number of items sold. Which is the best for getting more profit. This is the basic requirement for the retailer while calculating the selling price. There are some that must be consider which are. Which pricing strategy is best suitable for the business according to the market requirement. There are mainly two pricing polices that are widely used. In cost-base pricing you need to add markup and margin to the break-even point. This is express as percentage of break-even. According to the industry rules knowledge of the market is very help full. With the use of markup pricing technique the retailer need to know the market price and the product cost. This method of pricing is widely used by many manufactures, retailers and wholesalers. To calculate the selling price markup is added to the cost of the product and minus all the expenses. To calculate the correct selling price it is necessary to include all the direct costs, like fixed and variable costs ( material, wages and packaging ). The development cost is also a main part of the selling price. All these costs are added and the profit % includes in it. All the costs are added and divided by the volume. In this way a seller can fine accurate selling price. There is a simplest method to calculate the selling price by using formula. There are many other factors that you focus like the tax rates because it have also affect the selling price. The price you chose must cover all the expenses. Review your price continuously. The price must be assure the sale of product. Audit of the business is compulsory. It provides the clear picture of your business and use full when there is a great rise or fall in the prices of the compactor. An ideal selling price is that who improve the sales. It generate revenue to your business. It is easy for a vendor to calculate the selling price and profit. It also quicker the decision making by the retailers. A good selling price is that who provide the growth opportunities to the retail. It create the demand from customers. So all the game is to decide the selling price. Your selling price determines whether your product survive in the market competition or not. For this it is important key to compare net prices not just the market price. Maintain a budget and action plan.